If you find yourself surrounded by summer squash this season and at a loss for how to use it all up, I’m here for you. 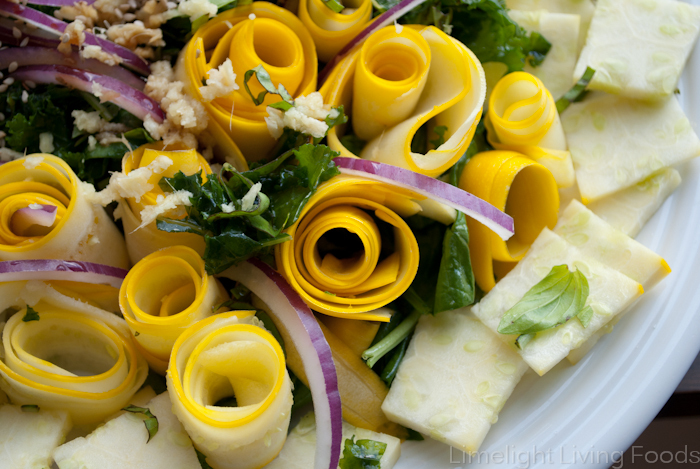 This trick will work with green or yellow zucchini and all you need is a vegetable peeler. Make long wide cuts down the entire length. If you focus on rotating the squash after each peel, this will produce at first wide, but as you rotate slimmer strips. If you want consistently wide strips rotate between opposite sides of the squash. 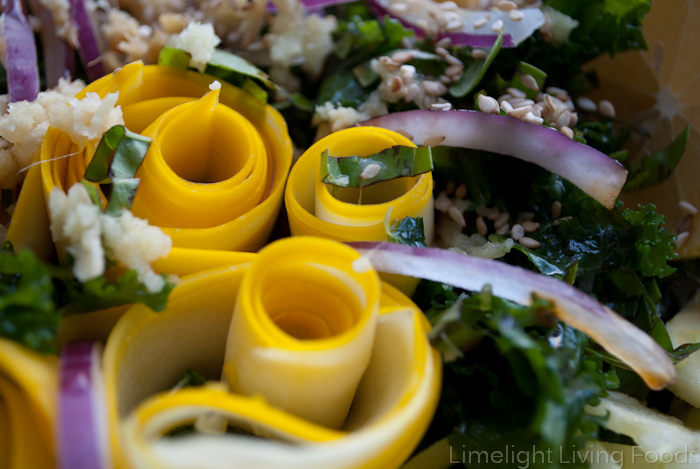 If you want to go for the yellow rose look... take strands of the squash and just roll them up, setting them on the bed of greens when you're done. Easy! Add a few slices of red onion, minced garlic, and grated ginger. Sprinkle with a few sesame seeds, your choice of tamari or Bragg liquid aminos, and a little squeeze of lemon. What is your favorite salad dressing? Do you ever make your own? I love Girard’s Light Champagne dressing! 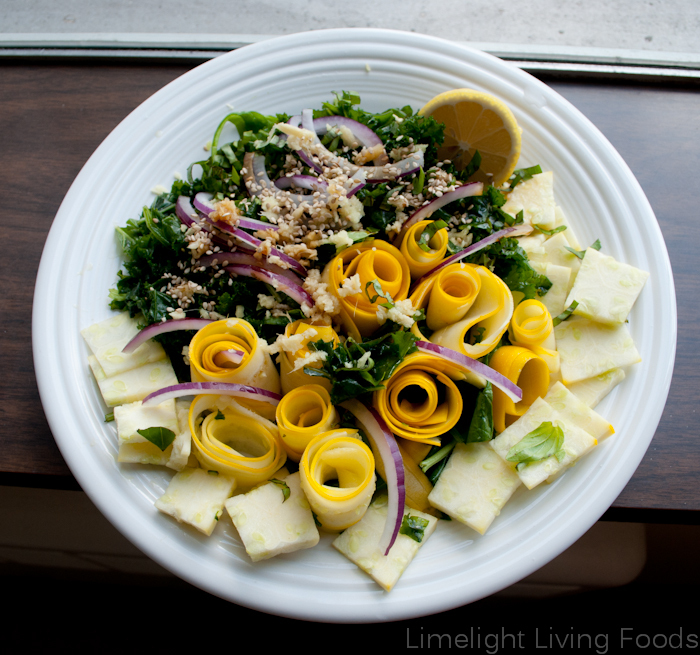 I’d like to try making my own, but for this I used a small amount of olive oil and lemon juice.